At Strategic Coach, our unique business coaching program starts with a focus on growth in every area of business and life, and from that flows the freedom every entrepreneur dreams of. In our workshops, we see those dreams become reality every day — as many different dreams as there are different entrepreneurs. Ask our entrepreneurs about their experience at Strategic Coach, and every story would be different — but with a common thread running through them: Results. Unexpected results. More-than-expected results. Off-shoot results. Very often, life-changing results. The English duo redefining dentistry and perspectives on success in the UK. Transformed his life by embracing a newfound confidence inspired by Strategic Coach. Travels over 24 hours to attend his workshops! Cut down his workweek hours by 40%, giving him more time to spend with family. Do you have a Self-Managing Company®? However you define freedom as an entrepreneur, your company can give you all you want and still flourish. How do you stack up? We offer two business coaching workshop programs, both designed to step up progress and results in both your business and personal life. Our unique community of successful entrepreneurs from around the globe, our coaches who are also highly experienced entrepreneurs, our proprietary tools, and the focused workshop planning time away from your business are the cornerstones of our programs’ success. This is a rare opportunity to plan for the future, determine how best to get there, and strategize about what’s most pressing in your business right now. It’s a chance to gain new insights from people in other industries and other parts of the world. You’ll come away with prioritized, concrete action steps, new tools and capabilities, and a plan for the next 90 days. 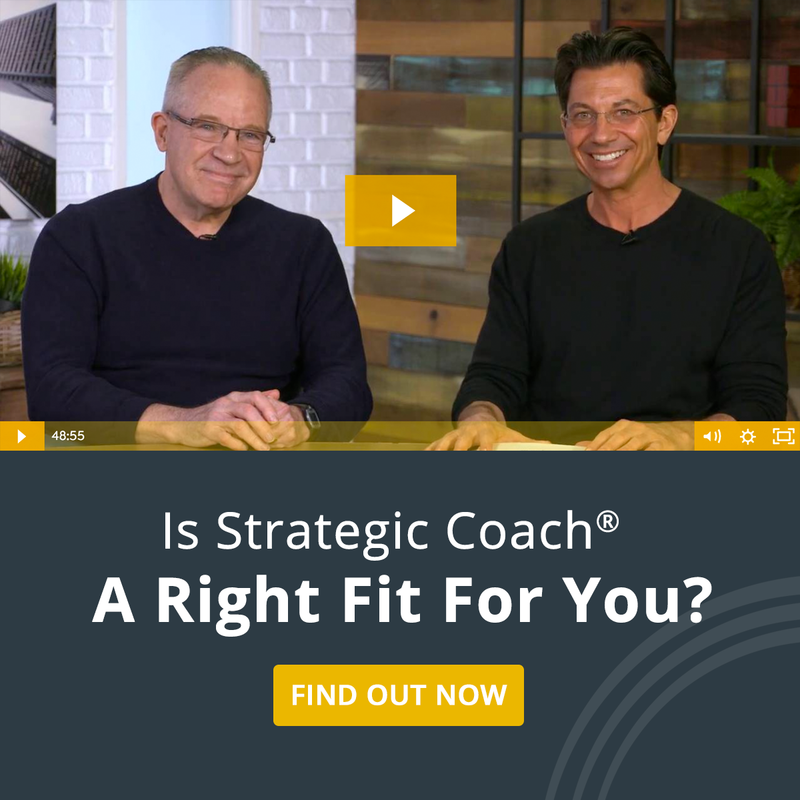 Get exclusive access to Strategic Coach founder and Program creator Dan Sullivan’s latest ideas and fast-track tools as part of a group of equally extraordinary entrepreneurs. Dan’s workshop focuses on getting 10x results in whatever areas would make the biggest difference for you. It’s all about leveraging what you already know and focusing in with laser precision. Our events are the closest thing to being in a Strategic Coach workshop and a great opportunity to see if we’re a right fit for you as your business coach. We’re on the road year-round, playing host and meeting amazing entrepreneurs doing amazing things, and we also offer hands-on, interactive webinars. Both give you the chance to try out our tools and get any questions answered. Why not join us!